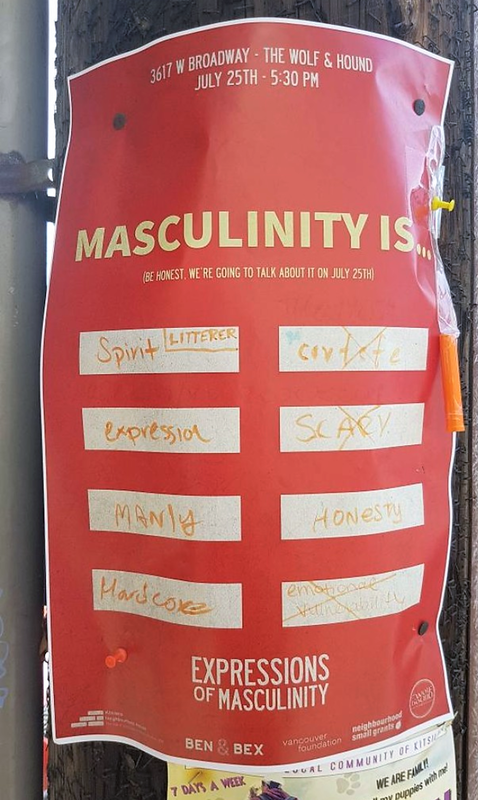 100 interactive word-association posters created by Ben&Bex were put up with markers around Vancouver on July 17th. 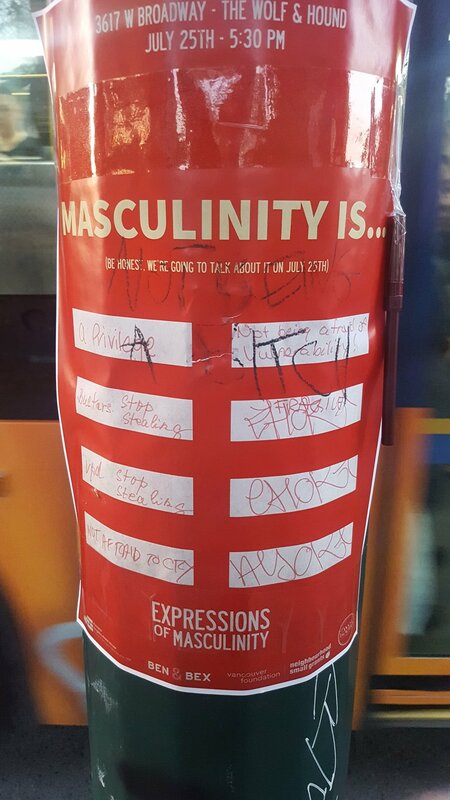 They were intended to engage the public in expressing what "masculinity" means to them. Before the event, I went in search of the surviving posters to photograph. These are the ones that remained by July 23rd as well as some submitted by passersby.